Oct16 Comments Off on Can policy keep up with the innovation of the “sharing economy”? Can policy keep up with the innovation of the “sharing economy”? Odds are, you’ve taken advantage of the services of the sharing economy. Boston is a major hub for “sharing” companies like Uber and Airbnb. But some cities are friendlier to these new companies than others. On the spectrum of sharing economy friendliness, New York City sits on the “less friendly” side, while cities like San Francisco (which just lifted a ban on short-term rentals in apartments last week) lay somewhere in the middle, and Boston remains on the “more friendly” end. But many cities’ zoning laws either haven’t kept pace with innovation, or still have possible legal changes under review. As these services become more popular, the policies related to them could swing either way. The sharing economy has a seemingly positive central tenet; it lets people share durable goods. Sharing these goods has a number of positive effects, but the biggest is that it takes advantage of underutilized or unused resources, allocating them more effectively. In order to allow future innovation in the realm of the sharing economy, cities need to use rational legislation to protect users without stifling growth. Boston so far has done little to regulate the sharing economy, with mostly positive results. In July, the city government said they would consider regulating services like Airbnb, but that in the meantime no fines would be given. In the three months since that announcement, no legislation has been created, making it seem as though the city may not regulate rentals further at all. Currently, you are required to register with the city and pay a small annual fee to rent your home or apartment, and additional registrations are suggested depending on circumstances. 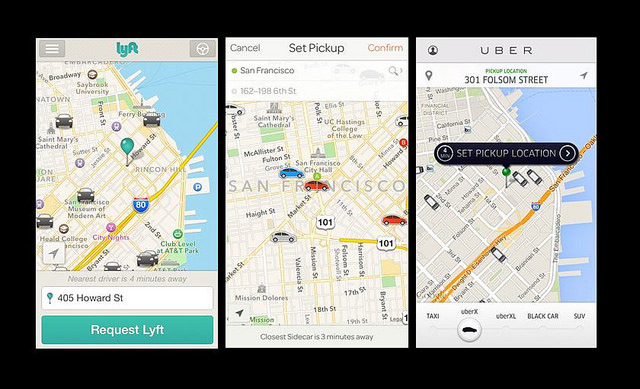 The other big company in the U.S. sharing economy is Uber, the ridesharing service. Uber has faced tougher opposition than Airbnb; the Boston taxi drivers’ union argues Uber is illegal and does not follow taxi regulations. There’s currently a lawsuit between the two groups in federal district court, and Mayor Walsh created a special committee to overhaul regulations that pertain to taxi services. But the timeline for the new regulations is uncertain, and until they finish, Uber fights on, existing in a strange legal purgatory. The fates of sharing economy companies that threaten traditional industries hang in the balance. But a more efficient use of resources benefits more people than a continued dominance by standard taxi and hotel industries. For companies in the sharing economy to prosper, cities need to be careful in their regulation. Boston is a good climate for the sharing economy now, and is a model for the success of these businesses, but that could change quickly if the city doesn’t do its part to maintain that status quo. After all, innovation is progress, and slowing its growth only hurts in the long run.